Opening day got off to a not so spectacular start as there were no umpires available to make this a legal game. Both teams took advantage of the situation though to play a practice game in a near real game situation. More to come. Coaches Comments - "It was good for us to see our team perform under "almost" game conditions," said Coach Vic Alkire who has just started his 26th season as skipper of the Bulldogs. "Our coaching staff was able to evaluate our players against outside competition and it definitely benefited both the players and staff. Our players and coaches both learned a lot today." "I was very happy with our effort, focus, and hustle today. I like how the players supported each other. That should be a nice benefit as we move forward this season." "Next week will be a big challenge for us as Foothill and Liberty are both very good teams," said Alkire. Alkire and his team will face not only strong opponents but also the fury of mother nature in 2019 as more rain is predicted many days next week. Coach Alkire has stated that this game will be made up to be official in the near future. Reminder - Website will improve over the weekend as I move to a new platform. Address tracyhighbaseball.com stays the same. "We got better as the game went on today," said Coach Daniel Bauer. 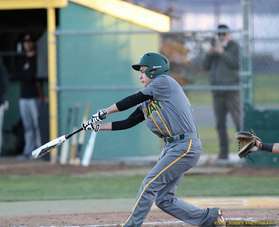 "We did not have the best approaches at the plate early and I don't think we had a lot of swagger in the first five innings, but as the game played into the final 2 innings, we really got aggressive at the plate and things really turned around offensively. The mistakes we did make today can all be easily fixed," said Bauer. "Our players learned a lot today and the light went on for many of our guys in the later innings as they identified how to approach various situations. Our coaching staff did a lot of in-game instruction in the first five innings." 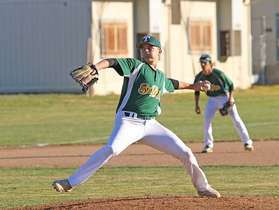 Jacob Shrout threw the first 2 2/3 innings but Coach Bauer pulled him at 49 pitches for pitch count purposes. 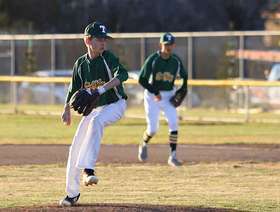 Conner Johnson threw the next 2 2/3 and got to 46 pitches. Matt Pombo was very impressive finishing the game to hold the Panthers in check. "Matt brought some real spirit and swagger to the late innings that I think was noticed by much of the team, it helped us offensively as well," said Bauer. The platform this website has been on for 12 years has all of sudden stopped supporting their customers and have turned off many of my features. 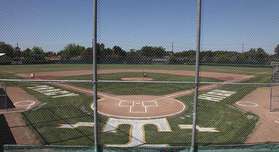 I'm quickly moving all the material over to a new website and it will keep the same tracyhighbaseball.com name. I'll keep this site active through the first game on Friday and then transfer over to the new look. If there is a temporary disruption in service, please go direct to stujosseyphotography.com to see photos of the game. Sorry for the disruption, could not have come at a worse time. Fr/So host Kimball 3:30 p.m.
V / FrSo at Foothill 3:30 p.m.
JV host Foothill at 3:30 p.m.
V/JV host Liberty 3:30 p.m.
Fr/So at Liberty 3:30 p.m.
Var/JV host Pacheco in Tracy Tourney 10:45 a.m.
JV & Fr/So host Turlock at 3:30 p.m.
V & JV host Freedom 3:30 p.m.
New game added on March 4. Tue Feb 26 Foothill Foothill 3:30 p.m. Wed Feb 27 Liberty Tracy 3:30 p.m. Wed March 6 Freedom Freedom 3:30 p.m. Wed March 13 Bear Creek Bear Creek 4:00 p.m. 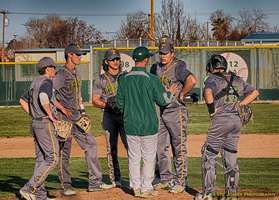 Wed March 20 Turlock Tracy 3:30 p.m.
Mon April 1 Tokay Tokay 3:30 JV / Var 6 p.m. 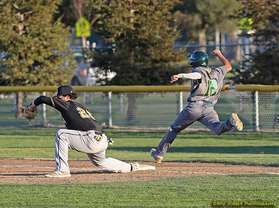 Wed April 3 Tokay Tracy 4:00 p.m.
Fri April 5 Tokay Tokay 3:30 JV / 6 p.m. Var. Thu April 11 Lincoln Lincoln 4:00 p.m.
Mon April 22 St. Mary's Tracy 4:00 p.m. Wed April 24 St. Mary's St. Mary's 4:00 p.m.
Fri April 26 St. Mary's Tracy 4:00 p.m.
Mon April 29 Lodi Zupo Field 4:00 p.m. 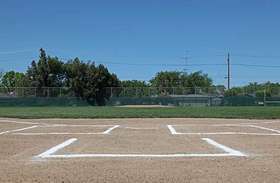 Wed May 1 Lodi Tracy High 4:00 p.m.
Fri May 3 Lodi Zupo Field 4:00 p.m.
Mon May 6 West West 4:00 p.m.
Tue May 7 West (Senior Day) Tracy 4:00 p.m. Wed May 8 West West 4:00 p.m. If you dug into the batters box up through the 2012 season, this was the view from the diamond at the old ball field on campus. The location was abandonded to make room for the expansion of the football field which opened in the 2014 season. 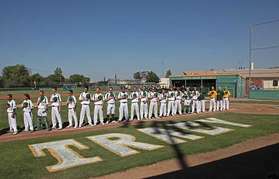 13 years ago I began documenting Tracy High baseball activities on a simple website I created. Thanks to a lot of support from the coaches and you fans, I'm now entering my 13th year. The website has generated 635,000 hits on the front page alone in those 13 years. On Friday I will begin documenting a summary of the games as provided by each coach postgame. This will include scores, stats, coaches comments in some cases, and photos. I try to get to a lot of the varsity games, but frankly there are several parents that have been providing some pretty good photos to help fill in the gaps on the games I miss at the varsity, JV, and frosh/soph level. 12 alumni that I am aware of, are still playing ball at a JC, 4 year or in the minor leagues. This information is updated as I receive updates from players, parents, or coaches. Updated February 4, 2019. 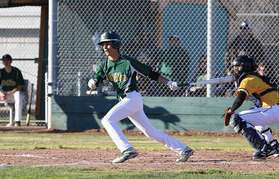 2019 brings a few changes to the program and the TCAL league. Tyler Sanfilippo (a 2011 graduate) returns to Bulldog baseball and will be an assistant varsity coach. Adam DeHaro who played for Coach Alkire 1996-1998 returns to assist the JV team. There are some changes in the TCAL league coaches. 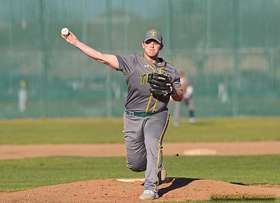 Pete Pigl returns to the TCAL after leaving St. Mary's several years ago and then having a short stint with Bear Creek. He will now be the Lincoln coach. 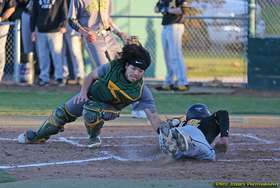 Tracy alumni Dante Dell'aringa will be the West High varsity coach. The parents meeting will occur on February 19th after the rosters are solidified. 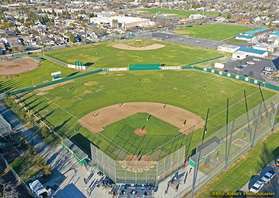 Tracy will host thier first scrimmage vs West on February 15th. A 2nd scrimmage at Kimball will happen February 18th. 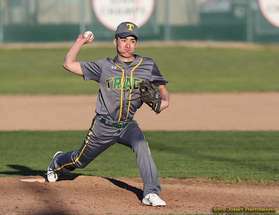 The Tracy Boosters Tourney follows a new format this year to imrpove its chances should rain develop. Varsity and JV tourney will occur on three consecutive Saturday's Feb 23, Mar 2, and Mar 9. The Frosh-Soph tourney will happen during the week of March 11 - 16th. Players and fans will see new trees planted in the complex along with new fence artwork on the varsity field. Artwork will also appear on the JV fenceline. Numerous players signed up at the informational meeting last week held on campus. 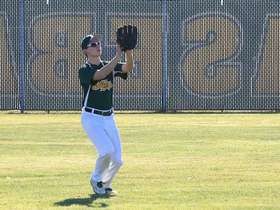 Tracy graduated 12 senior baseball players last year so there will be a lot of open spots to fill. There were only 4 junior players last year on varsity so much of the varsity team this year wil be new junior and sophomore players rounding out the 4 seniors that may be on this year's team. Of course tryouts may find new players at all levels entering the mix. Photos from previous season are always available for viewing/purchase HERE.